NEVER LIVED IN! 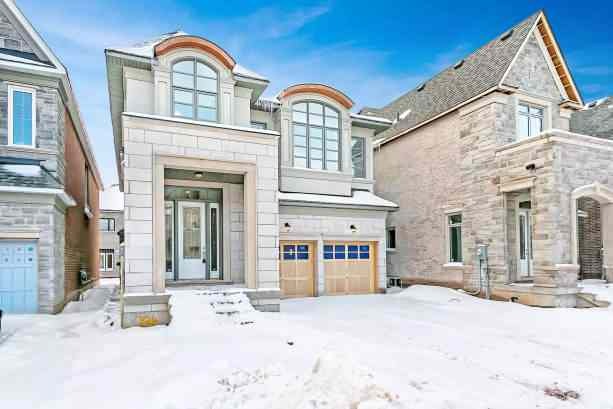 Beautiful 4-bedroom home with double car garage in Fernbrook's Seven Oaks community. 2801 sqft, plus unfinished basement ready to be customized to suit your family's unique lifestyle. Great open-concept floor plan. 10-foot ceilings on main level, 9-foot ceilings on second level and up to 9-foot ceilings in basement. "Aya" eat-in kitchen with breakfast bar, quartz counter tops, and panelled enclosure for hood fan. Oak hardwood floors throughout both levels. Oak staircase with iron spindles. Tray ceilings in great room and dining room. Cast stone, gas fireplace in great room. Smooth ceilings in all bedrooms. Gorgeous front bedroom with private, 3-piece ensuite and soaring windows. Fabulous master ensuite with double vanity, marble counter top, freestanding soaker tub, oversized shower and private water closet. Main floor laundry. Tarion Warranty. Upgrades include: upgraded kitchen cabinetry surrounding fridge space; Oak hardwood floors in the kitchen & foyer; marble counter top in powder room; upgraded floor tiles in master ensuite; upgraded vanities with bank of drawers in main bathroom and master ensuite. Close to everything... the new Oakville Hospital, great schools, shopping, restaurants, public transit. Easy access to 407 & 403.